Blokarting rocks! Thanks for letting me get this out of my system. ﻿﻿Today was a day fully and appropriately spent on the beach. 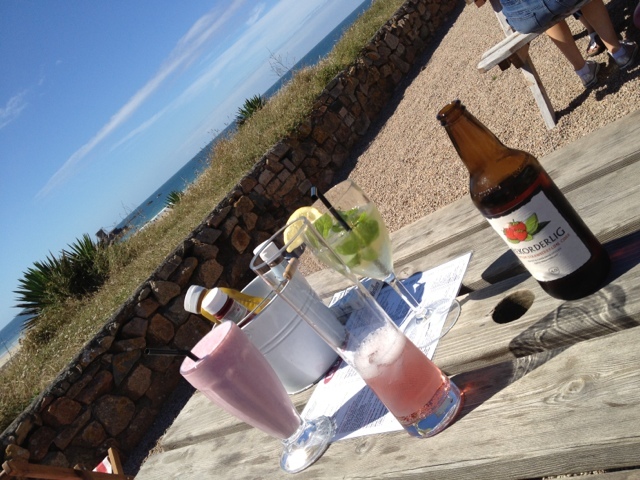 Lunch at a shack in the middle of nowhere, napping on the sand and finally blokarting on the beach, all in St Ouens bay! Apart from the sand dunes not much else seems to be there; until you let yourself slow down and start observing the beach microcosm around. 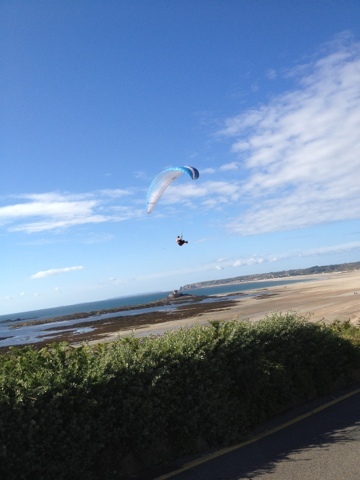 St Ouen's Bay is the adrenaline junkie coast of Jersey. Moreover, if you haven't been to Australia yet, just like me, this is as close as it gets. 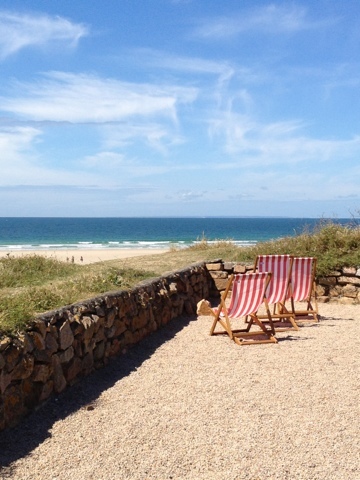 Picture this: on a Monday people casually pop into Le Braye - the beach shack - for lunch, surfers roam around all tanned and the bench dinning area has the best view possible over the Atlantic coast. 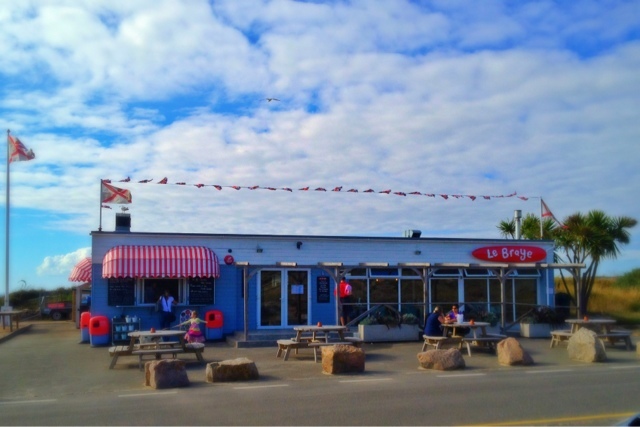 On top of that think burgers, crab sandwiches, chunky chips and milk shakes. After a very sunny and fulfilling lunch we popped down to the massive stretch of a beach that's left behind when the tide goes out. We took a look closer and realised that's it's nowhere as empty as it looks from afar; families, friends and couples are all soaking in the sunshine. Lots of school kids mingle...shall we play football? Mais oui! Don't forget that's where England meets France! And then off course there is blokarting, surfing, paragliding, the works! If you want to stay dry, blokarting is the one for you. 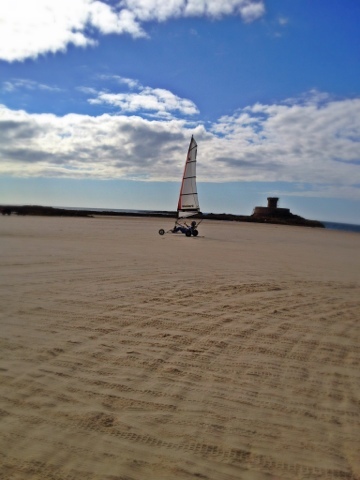 Racing around the beach using the wind, trying to control the sail above your head, so much fun! Fine it's not an adrenaline junkie's dream sport, but once you get speed and try to turn around a corner, one wheel lifts off the sand and woooohooo! worked for me!